Can State Intervention Spur Academic Turnaround? While a wave of states are resorting to academic takeovers of failing schools, others choose to intervene at the first signs of failure. 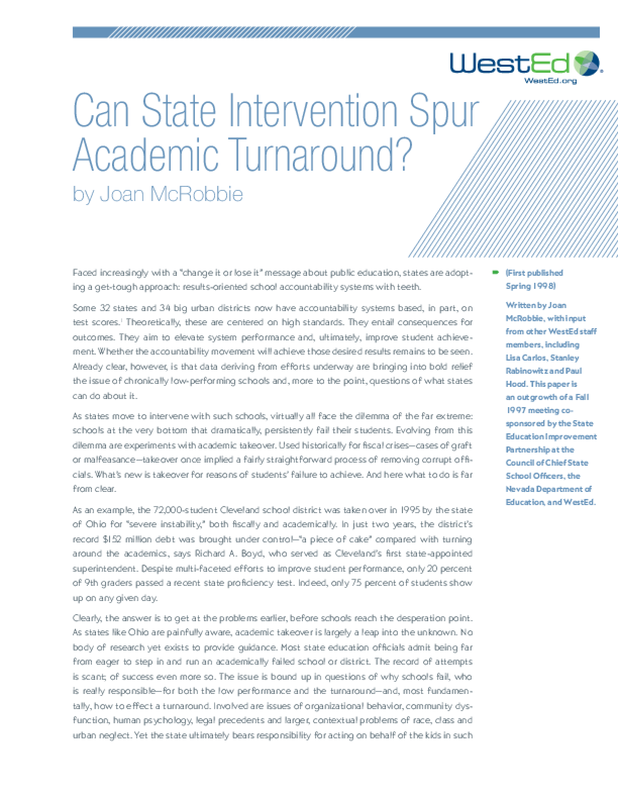 Title: Can State Intervention Spur Academic Turnaround?